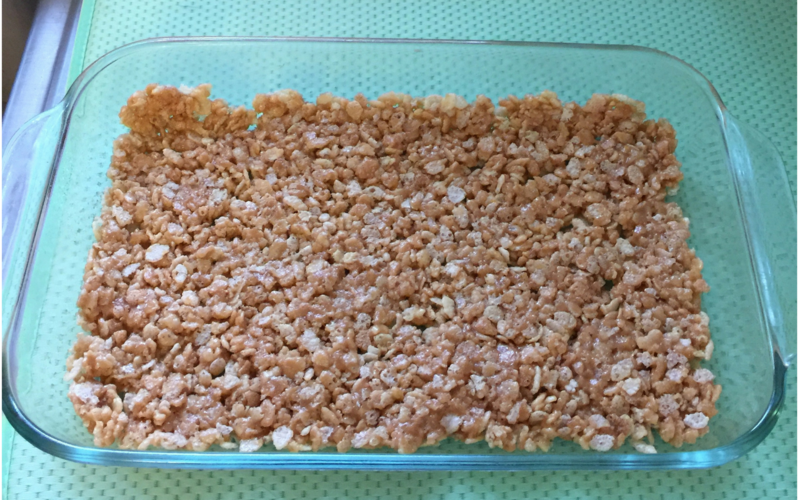 The most delicious Rice Krispies Treats you will ever eat! With Labor Day coming up, it feels like summer will soon be over and fall days will be just ahead. Most kids are already back in school so if you are wondering what to have for a great after school snack, look no further. 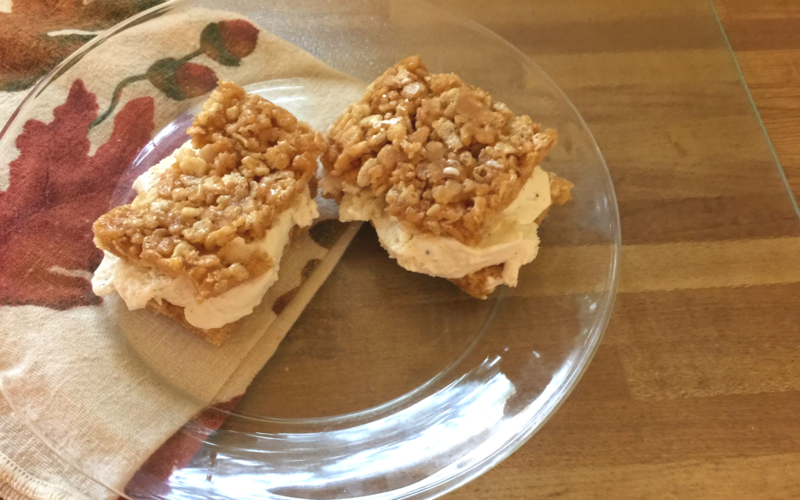 This is a twist on the famous Rice Krispies treats. 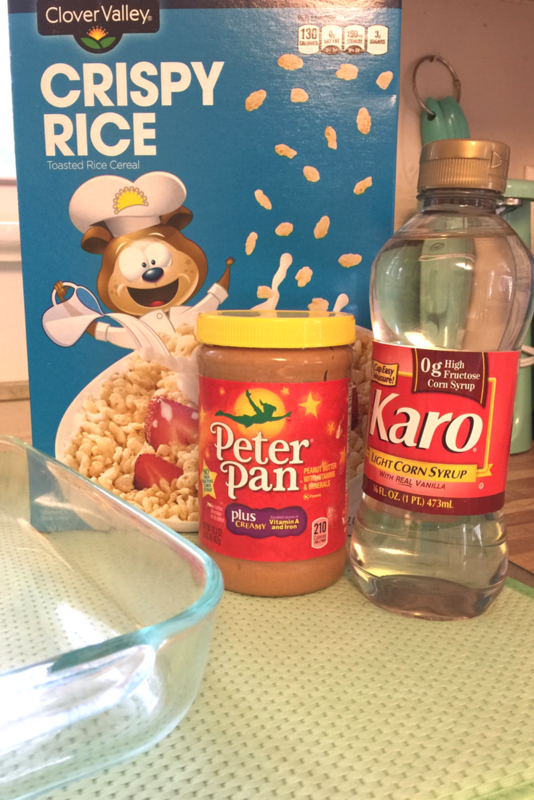 I think all children love anything with the snap, crackle and pop of the popular cereal but add in peanut butter and vanilla ice cream and you will have one happy young one on your hands! 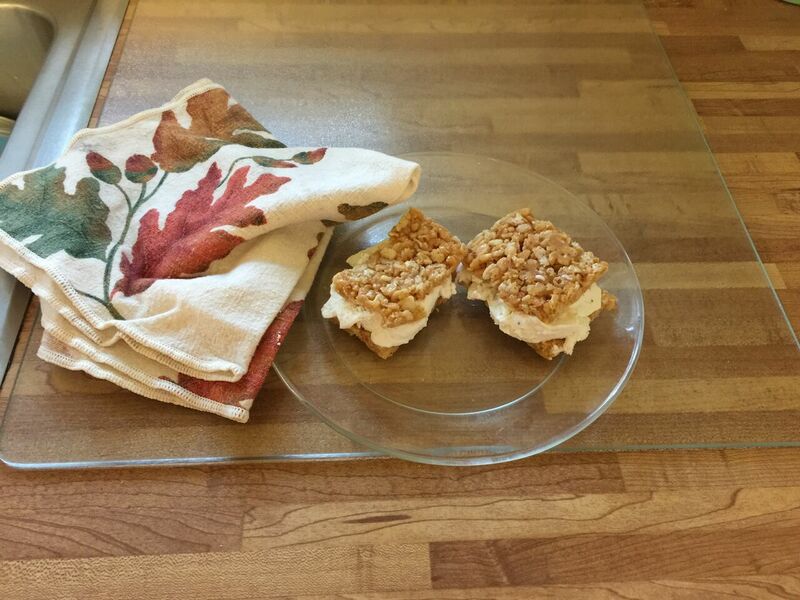 The recipe is so easy, you may want to get your little ones to help in making this dessert. It can be just a little messy but I believe there is a saying, the messier it is, the better it will be! 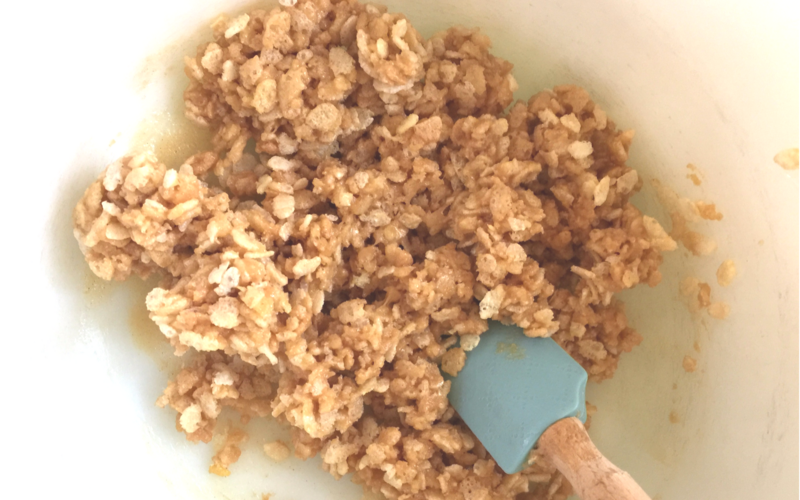 A couple of hints in making it easier is to spray your pan lightly with non-stick spray and blend the peanut butter and Karo syrup completely before adding the cereal in, adding the cereal 1 cup at a time. Blend thoroughly syrup and peanut butter. Add cereal. Spread into 9”X13” pan and place in freezer until firm. Cut into squares and place vanilla ice cream in between making a sandwich. Did you see my other recipes?